Then I left some cookies with a note, and after being away for several days, I returned home to find a bowl full of dry lentils, some orange crunches, and a couple partially eaten cookies I had left… the lentils and crunches were not from my house. Since receiving these gifts, I have been leaving other food items every night, but no other gifts or contact have been left. 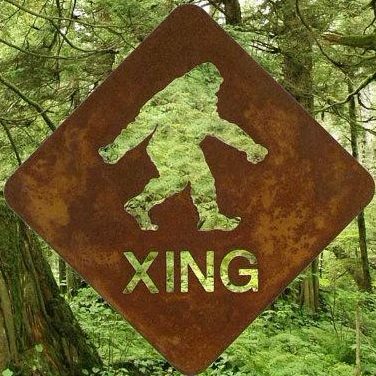 I wonder if you could help me understand why contact has stopped, and how I might be able to increase contact and communication with the Sasquatch. I am so interested in being an Ambassador, and plan to buy some of your books. Your story is so incredible, and inspiring. Thank you for your account and encouraging feedback. It’s nice to see how they can do amazing things to communicate with us. Food and gift exchange is a beautiful thing. Yes, since you ask, it might just be an introduction to communication on higher levels, since you feel called to become an ambassador. Going out in the woods where they live and meditate in quiet places is a good way to connect, bringing offerings is a good idea. It is a way to expand your experience and verify if it was them as they usually keep communicating once they reached out to you, especially if you reply and get involved. Only they are patient and have much more time in their timelines than we do, so they will not rush or force anything, nor do they need to hurry at our requests. Their favorite and deepest way of communication is through soul telepathy, a natural ability we can all learn to develop with practice, very similar to prayer. They can read our thoughts and hearts, so we have to approach them humbly, as we would Elders, with peaceful, loving and pure intentions of making friends for our spiritual growth and evolution. I had some encounters around Shasta. On the north side of the mount I saw a few individuals of the local clan who guided me to the ruins of the Lemurian stone city. Another time, on the upper campground near the summit, a Sasquatch came in our camp late one night after my Lakota friend had prayed and asked to meet them there. Hoo boy, that’s a totally typical above-Shasta visual, too — one can see those a good hindred days of each year. Here where I’ve newly settled in the coastal hills of Humboldt as well.